As with any 100-year-old church, First Baptist Church of Immokalee has seen its share of ebb and flow. 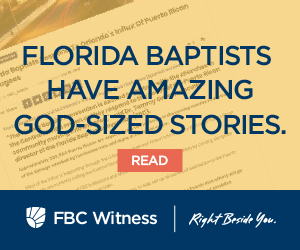 But after a period of trouble and decline, the revitalized congregation has found new growth, a sense of stability and diversity that more closely mirrors its Southwest Florida community. The church has evolved from a predominately Anglo senior adult congregation to one that is intentionally reaching young families, African Americans, Hispanics and Haitians. A key ingredient in that growth was the calling of 25-year-old Timothy Pigg as pastor, who offered “youthfulness and energy” to the struggling congregation, said the deacon. They found in him “a spiritual maturity and scriptural insight that surprised us in a 25-year-old,” Bethea added. Pigg and his wife Jessica came to the church after he completed his degree at Southwestern Baptist Theological Seminary in Fort Worth, Texas. Members of his new congregation came to his ordination at First Baptist Church of Naples, where his father, Doug, serves as executive pastor. The church added Hilario Perez, a young Hispanic man who had come to know Christ as his Savior in the church, as associate pastor who leads young adults in Bible study on Sunday morning and student ministry on Wednesday nights. The church is aggressively reaching out in the predominantly agricultural community in a variety of ways. 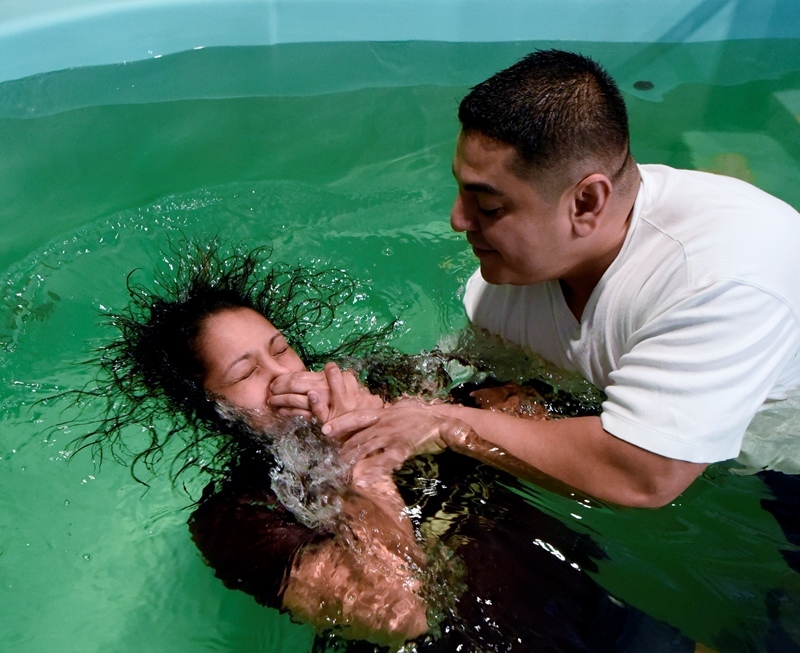 Recently, the church began a Spanish ministry, led by bivocational pastor Raul Puente, who distributed more than 600 fliers in neighborhoods and Hispanic businesses. The location of the past year’s fall festival was moved from inside the church building to a “trunk and treat” activity in the parking lot, a switch the pastor believed it would help reach out to non-churched people. Over 1,000 people attended and 300 pounds of candy were distributed, Pigg reported. Additionally hundreds of photos were taken of the youngsters that are being delivered to homes of children, another way to connect with families. Pigg, who had played football in high school and coached while in seminary, began coaching the sport at the local school, building relationships with players and parents. At least two students have accepted Christ as a result of his witnessing. Baptismal waters have stirred with new Christians ten times since Pigg’s arrival, the pastor said. In February, the church will hold block parties in migrant neighborhoods working with other Spanish-speaking congregations, distributing hygiene kits and disposable cell phones for the workers to make contact with loved ones back home. The church will also partner this summer with seven area churches for a community wide vacation Bible school to be held at First Baptist Church, which has the largest facility in the city. “Our goal is not to grow this church, but to get the gospel out in the community,” said Bethea.